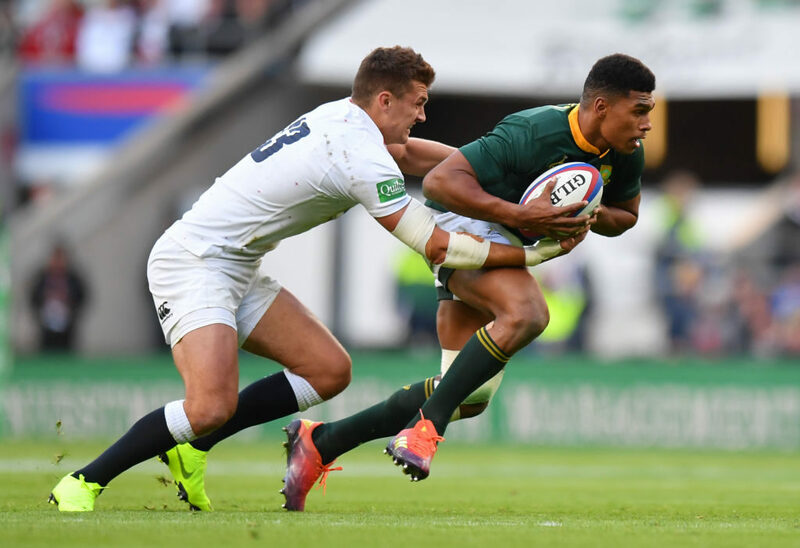 What we learned from the Test between the Springboks and England on Saturday, according to CRAIG LEWIS. 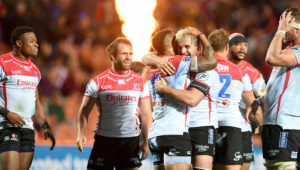 England’s 12-11 victory over the Boks on Saturday was ultimately overshadowed by a poor decision from Angus Gardner with the final play of the game. As the Springboks launched a late attack in hope of snatching victory, Owen Farrell unleashed a heavy hit on André Esterhuizen. Upon review, it appeared clear that Farrell had caught Esterhuizen with a shoulder charge just below the chin, with the South Africa centre’s head whipping back. The biggest issue appeared to be the time the incident occurred. Gardner had already blown the final whistle, and only seemed to review the incident in response to a call from the TMO. Rather than take the time to carefully consider the incident, Gardner seemed to rush the decision and hurriedly ruled that there was enough of an attempt to ‘wrap’ the arms. Almost disbelievingly, he opted against a yellow card or even a penalty. It was a weak home-team decision from Gardner that exposed the inexperience of the 34-year-old. One of the key contributing factors to the Boks’ loss on Saturday proved to be their lineout woes. It was clear from the outset that the Springboks were keen to turn to their lineout drive as a weapon, and yet this set piece misfired at key moments. In particular, Malcolm Marx has to accept culpability for a couple of poor overthrows that were extremely costly. One also has to question why the Boks kept looking to persist with a high-risk lineout ball to the back rather than opt for a front or middle ball that would have been far more secure. In many aspects of the game, the Springboks would have been mightily pleased with their first-half performance against England. In total, the Boks enjoyed 75% of territory and 67% of possession in that first half, while making 200m to 78 and forcing England to make 88 tackles to 30. Despite this dominance, the Boks lacked the patience and decision-making to really make England pay. If the visitors had been more clinical with their execution, they could have been at least 10 points clear at half-time. Instead, they only enjoyed a two-point advantage, and it ultimately came back to haunt them. Willie le Roux will be available to the Boks ahead of this Saturday’s Test against France, and would be expected to reclaim the No 15 jersey. However, the Bok coaches should be pretty satisfied with what they saw from Damian Willemse as he made his first Test start in this position on Saturday. 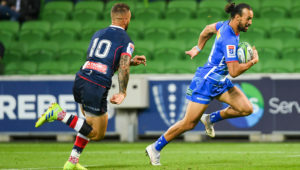 Although the 20-year-old did make the odd error – most notably kicking one ball out on the full late in the game – he otherwise enjoyed a solid run-on debut. For the most part, Willemse looked calm and composed, and importantly, fielded a couple of high kicks extremely well early on. The backup depth at fullback is an area of concern for the Boks, and so they should be encouraged by the solid outing from the youngster. Springbok fans would have probably wanted to avert their eyes when the TV cameras showed Faf de Klerk sitting in the stands and watching the Boks as a spectator on Saturday. 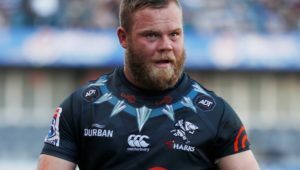 De Klerk has been named as one of the World Rugby Player of the Year nominees, but is unavailable to the Boks on this end-of-year tour due to his English club commitments. It’s pretty hard to take, and at Twickenham, the Boks could have benefited from De Klerk’s speed of service, quick decision-making and tenacious defence. 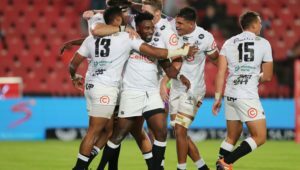 Although Ivan van Zyl did a solid job at No 9, there is no doubt that De Klerk is a class apart, and the presence of the playmaker was sorely missed on Saturday.